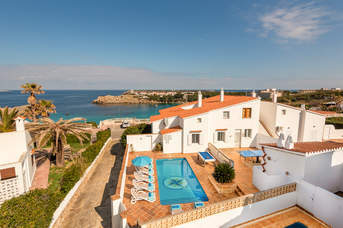 Menorca 2019 Villa Holidays - 268 villas found. 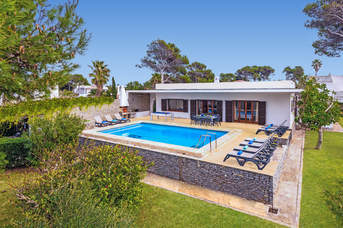 If you’re looking for a relaxing holiday, then one of our villas in Menorca will be perfect for you. You can choose from our excellent range of resorts, from the fashionable area of Calan Bosch with its marina full of restaurants and shops to the well-established holiday centre of Calan Porter. Or from the horseshoe bay of the thriving tourist resort of Cala Galdana to Santo Tomas with its holiday villas creeping up from the beach into the hillside, whichever villas in Menorca you go for you’ll never be too far from the beach, restaurants or shops. Amazing landscapes, deserted beaches and attractive resorts. See for yourself how magical a Menorca villa holiday can be.